It has been requested that the title of this article be changed to Parliamentary votes on Brexit. Please see the relevant discussion on the discussion page. The page should not be moved unless the discussion is closed; summarizing the consensus achieved in support of the move. The "meaningful vote" is the parliamentary vote under the terms of Section 13 of the United Kingdom's European Union (Withdrawal) Act 2018, which requires the government of the United Kingdom bring forward an amendable parliamentary motion at the end of the Article 50 negotiations between the government and the European Union in order to ratify the Brexit withdrawal agreement. The wording of the clause[note 1] was strongly contested by both the House of Commons and the House of Lords, with the Lords proposing an amendment to the bill giving further powers to parliament. When the bill returned to the Commons the Conservative government offered concessions and the Lords' proposed amendment was defeated. The bill was then passed into law on 26 June 2018. At the end of March 2019, the government had not won any of the meaningful votes. This led to a series of non-binding "indicative" votes on potential options for Brexit. Following the UK's decision to leave the European Union, the result of a referendum on 23 June 2016, the UK government invoked Article 50 of the Treaty on the European Union. The UK was thus due to leave the EU at 11 pm on 29 March 2019 UTC. Gina Miller, a British businesswoman, took the government to court to challenge its authority to invoke Article 50 without reference to Parliament. On 3 November 2016, the High Court of Justice ruled in favour of Miller in the case R (Miller and Dos Santos) v Secretary of State for Exiting the European Union. (1) A Minister of the Crown may by regulations make such provision as the Minister considers appropriate for the purposes of implementing the withdrawal agreement if the Minister considers that such provision should be in force on or before exit day. As a government bill, this first reading was pro forma, with the first debate taking place on the second reading. On 18 April 2017 Theresa May announced a snap general election for 8 June 2017, with the aim of strengthening her hand in Brexit negotiations. This resulted in a hung parliament, in which the number of Conservative seats fell from 330 to 317, despite the party winning their highest vote share since 1983, prompting her to broker a confidence and supply deal with the Democratic Unionist Party (DUP) to support a minority government. In July 2017 David Jones, Minister of State for Exiting the European Union, told the Commons he expected the parliamentary vote on the Brexit deal with the EU to happen "before the European Parliament debates and votes on the final agreement." Asked to clarify what would happen if MPs and members of the House of Lords decide they don’t like the deal, Jones said "the vote will be either to accept the deal. Or there will be no deal." However, at an Exiting the European Union Select Committee meeting in October, Labour MP Seema Malhotra asked Davis, "The vote of our parliament, the UK parliament, could be after March 2019? ",[note 2] to which Davis replied, "Yes, it could be." This drew criticism from Labour opposition MPs and some Conservative MPs. In December 2017 pressure grew on the government to amend clause 9 so that parliament would have approval of the final terms of the withdrawal deal between the UK and the EU prior to 29 March 2019, the date set for the UK's departure from the EU. Conservative MP Dominic Grieve advised the government to amend the clause themselves or he would table his own amendment to the bill. Grieve duly tabled his amendment to the bill (Amendment 7) requiring any Brexit deal to be enacted by statute, rather than implemented by government order. (1) A Minister of the Crown may by regulations make such provision as the Minister considers appropriate for the purposes of implementing the withdrawal agreement if the Minister considers that such provision should be in force on or before exit day, subject to the prior enactment of a statute by Parliament approving the final terms of withdrawal of the United Kingdom from the European Union. (2) Regulations under this section may make any provision that could be made by an Act of Parliament (including modifying this Act). (d) amend, repeal or revoke the Human Rights Act 1998 or any subordinate legislation made under it. (4) No regulations may be made under this section after exit day. At the weekend prior to the Commons vote on the amendment, the leaders of the all-party parliamentary group on EU relations signed a statement saying, "Members of all parties have already provided valuable scrutiny to the EU (Withdrawal) bill, and we have forced the government into some concessions. But little of that will matter unless we can have a truly meaningful vote on the withdrawal agreement the government negotiates with the European Union." On the morning of 13 December 2017 Davis issued a written statement saying, "In the UK, the Government has committed to hold a vote on the final deal in Parliament as soon as possible after the negotiations have concluded. This vote will take the form of a resolution in both Houses of Parliament and will cover both the Withdrawal Agreement and the terms for our future relationship." Later that day, at Prime Minister's Questions, the Conservative MP Anna Soubry requested that May accept Grieve's amendment, "The Prime Minister says that she wants a meaningful vote on Brexit before we leave the European Union. Even at this last moment, will she be so good as to accept my right hon. and learned Friend’s [Grieve's] amendment 7, in the spirit of unity for everybody here and in the country?" However, May rejected the idea, saying "We were very clear that we will not commence any statutory instruments until that meaningful vote has taken place, but as currently drafted [Grieve's draft] what the amendment says is that we should not put any of those arrangements and statutory instruments into place until the withdrawal agreement and implementation Bill has reached the statute book. That could be at a very late stage in the proceedings, which could mean we are not able to have the orderly and smooth exit from the European Union that we wish to have." That evening, Grieve's amendment was passed by 309 votes to 305 votes – a majority of 4, representing a defeat for the government. Twelve Conservative MPs voted against the government: Grieve, Soubry, Heidi Allen, Kenneth Clarke, Jonathan Djanogly, Stephen Hammond, Oliver Heald, Nicky Morgan, Bob Neill, Antoinette Sandbach, John Stevenson and Sarah Wollaston. A month earlier, all but Stevenson were pictured along with fellow Conservative MPs Vicky Ford, Jeremy Lefroy, Paul Masterton and Tom Tugendhat on the front page of the Daily Telegraph describing them as "The Brexit Mutineers". (b) subject to the consideration of a motion in the House of Lords. (2) So far as practicable, a Minister of the Crown must make arrangements for the resolution provided for in subsection (1)(a) to be debated and voted on before the European Parliament has debated and voted on the draft withdrawal agreement. (3) Her Majesty’s Government may implement a withdrawal agreement only if Parliament has approved the withdrawal agreement and any transitional measures agreed within or alongside it by an Act of Parliament. (4) Subsection (5) applies in each case that any of the conditions in subsections (6) to (8) is met. (6) The condition in this subsection is that the House of Commons has not approved the resolution required under subsection (1)(a) by 30 November 2018. (7) The condition in this subsection is that the Act of Parliament required under subsection (3) has not received Royal Assent by 31 January 2019. (8) The condition in this subsection is that no withdrawal agreement has been reached between the United Kingdom and the European Union by 28 February 2019. (9) In this section, "withdrawal agreement" means an agreement (whether or not ratified) between the United Kingdom and the EU under Article 50(2) of the Treaty on European Union which sets out the arrangements for the United Kingdom’s withdrawal from the EU and the framework for the United Kingdom’s future relationship with the European Union." The amendment with the new clause was passed by Lords by 335 to 244 – a majority of 91, which represented a further defeat for the government. The new wording would have given MPs the power to stop the UK from leaving the EU without a deal, or to make Theresa May return to negotiations. The government rejected the proposal by the Lords that would give the Commons the power to decide the next steps for the government if the withdrawal agreement were to be rejected by parliament. 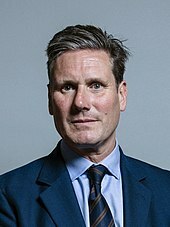 Labour MP Keir Starmer urged Conservative MPs who want Britain to remain in the EU to vote with Labour in favour of the Lords amendment when the bill returned to the Commons, and former Labour Prime Minister Gordon Brown suggested that May could be replaced by a new Tory Prime Minister if she lost the vote. However, prominent Tory remainer Amber Rudd urged her party's MPs to back the government in the vote. The process of parliamentary ping-pong then took place between 12 and 20 June 2018. The night before the bill was due back before the Commons, 11 June 2018, Dominic Grieve tabled a last-minute alternative amendment. The Lords amendment would prevent a 'no deal' scenario, and MPs and Lords could tell May to go back to the negotiating table and get something better, for example. Grieve's amendment also tackled the 'no deal' scenario but it set dates for May to come back to parliament and set out the government's intentions in the event of a 'no deal', and gain parliamentary approval for those plans. (5A) Within seven days of a statement under subsection (4) being laid, a Minister of the Crown must move a motion in the House of Commons to seek approval of the Government’s approach. (5B) In the event of no political agreement having been reached on a withdrawal agreement by the end of 30 November 2018, a Minister of the Crown must move a motion in the House of Commons setting out how the Government intends to proceed and seeking the approval of the House for that course of action. (b) the subject of a motion which has either been debated in the House of Lords, or upon which the House of Lords has not concluded a debate on the motion before the end of the period of five sitting days beginning with the first sitting day after the day on which the House of Commons passes the resolution mentioned in paragraph (a). On the morning of the vote, 12 June 2018, the government rejected the alternative amendment by Grieve. This set the scene for disagreement during the Commons debate about whether or not parliament should have a say in the event of the UK leaving the EU without a deal. The morning also saw Phillip Lee's surprise resignation as a junior Tory minister saying, "If, in the future, I am to look my children in the eye and honestly say that I did my best for them I cannot, in all good conscience, support how our country’s current exit from the EU looks set to be delivered." As the debate went on, the government gave assurances to potential Tory rebels that they would address their concerns in a new amendment for the Lords to consider. The concession offered by ministers was believed to include offering a new parliamentary motion if the Brexit deal was voted down by MPs and peers, which would open the door to MPs taking control of the negotiations if ministers failed to strike a deal in Brussels. The concession meant that the government won 324 votes to 298, a majority of 26. On the BBC's Newsnight, Grieve said that May must honour "assurances" she's given that Parliament will get a bigger say on any final Brexit deal. However, there was disagreement among Tories over what had been agreed, with Anna Soubry MP saying that, "the PM said yesterday that clause c of Dominic Grieve's amendment would be discussed as part of the new amendment to be tabled in the Lords", and Stephen Hammond MP writing, "Parliament must be able to have its say in a 'no deal' situation and we made this point very strongly today to the Government. The Government has conceded this point and I expect to see a new amendment to cover this situation soon." A spokesperson for Downing Street claimed that the prime minister had agreed only to ongoing discussions, and Davis’s Brexit department issued a statement which read: "We have not, and will not, agree to the House of Commons binding the Government’s hands in the negotiations." Tory MP Andrew Bridgen accused Tory remainers supportive of Grieve's amendment to the Brexit bill of deliberatively attempting to stop the UK leaving the EU completely. Speaking the day after the vote, in the Commons at Prime Minister's Questions, May said, "We have seen concerns raised about the role of Parliament in relation to the Brexit process. What I agreed yesterday is that, as the Bill goes back to the Lords, we will have further discussions with colleagues over those concerns. This morning, I have agreed with the Brexit Secretary that we will bring forward an amendment in the Lords, and there are a number of things that will guide our approach in doing so... As my right hon. friend the Brexit Secretary made clear in the House yesterday, the Government’s hand in the negotiations cannot be tied by Parliament, but the Government must be accountable to Parliament. Government determines policy, and we then need parliamentary support to be able to implement that policy." Commenting, the BBC's Laura Kuenssberg said "The risk is that appears as double dealing." (b) a motion for the House of Lords to take note of the statement to be moved in that House by a Minister of the Crown within the period of 7 Lords sitting days beginning with the day on which the statement is made. (b) the framework for the future relationship between the EU and the United Kingdom after withdrawal. (ii) a motion for the House of Lords to take note of the statement mentioned in paragraph (a) to be moved in that House by a Minister of the Crown within the period of 7 Lords sitting days beginning with the day on which the statement mentioned in paragraph (a) is made. As of 15 June 2018[update], rebel Tory MPs were reportedly still unhappy with the amendment as it only allows the Commons "a motion in neutral terms" (5C)(b)(i). Grieve had originally wanted the amendment to say that the government must seek the approval of Parliament for its course of action, and that ministers must be directed by MPs and peers. On the evening of 14 June 2018 Viscount Hailsham, who proposed the original amendment on the meaningful vote, re-tabled Grieve's amendment under his own name in the Lords in full. Speaking on the Sunday Politics programme, ahead of the amendment returning to the Lords, Grieve said, "The alternative is that we've all got to sign up to a slavery clause now saying, 'Whatever the government does when it comes to January, however potentially catastrophic it might be for my constituents and my country, I'm signing in blood now that I will follow over the edge of the cliff', and that, I can tell you, I am not prepared to do." Speaking on the same programme, the Solicitor General, Conservative MP Robert Buckland, replied, "If you were Michel Barnier and you were looking into the negotiation and looking into the future, it gives him a bit of a trump card to play when he knows that whatever the UK government might be saying to him now, he knows that at the end of it there's a third-party in this relationship, namely parliament, who are going to get involved and trump whatever the UK government say. Now that's not a good place for David Davis to be in. David Davis needs to be able to go out there and have a firm negotiating hand..."
On 18 June Lord Hailsham's amendment was passed by the Lords, a defeat for the government by 354 votes to 235: a majority of 119. When the bill returned to the Commons on 20 June the government offered further concessions. The concessions meant that the government won by 319 votes to 303: a majority of 16. Grieve said afterwards: "We’ve managed to reach a compromise without breaking the government – and I think some people don't realise we were getting quite close to that. I completely respect the view of my colleagues who disagree, but if we can compromise we can achieve more." (d) an Act of Parliament has been passed which contains provision for the implementation of the withdrawal agreement. (2) So far as practicable, a Minister of the Crown must make arrangements for the motion mentioned in subsection (1)(b) to be debated and voted on by the House of Commons before the European Parliament decides whether it consents to the withdrawal agreement being concluded on behalf of the EU in accordance with Article 50(2) of the Treaty on European Union. (3) Subsection (4) applies if the House of Commons decides not to pass the resolution mentioned in subsection (1)(b). (4) A Minister of the Crown must, within the period of 21 days beginning with the day on which the House of Commons decides not to pass the resolution, make a statement setting out how Her Majesty's Government proposes to proceed in relation to negotiations for the United Kingdom's withdrawal from the EU under Article 50(2) of the Treaty on European Union. (5) A statement under subsection (4) must be made in writing and be published in such manner as the Minister making it considers appropriate. (b) a motion for the House of Lords to take note of the statement to be moved in that House by a Minister of the Crown within the period of seven Lords sitting days beginning with the day on which the statement is made. (ii) a motion for the House of Lords to take note of the statement mentioned in paragraph (a) to be moved in that House by a Minister of the Crown within the period of seven Lords sitting days beginning with the day on which the statement mentioned in paragraph (a) is made. (9) A statement under subsection (7) or (8)(a) must be made in writing and be published in such manner as the Minister making it considers appropriate. (ii) a motion for the House of Lords to take note of the statement mentioned in paragraph (a) to be moved in that House by a Minister of the Crown within the period of five Lords sitting days beginning with the end of 21 January 2019. (c) a motion falling within subsection (6)(b), (8)(b)(ii) or (11)(b)(ii) may be combined into a single motion with another motion falling within another of those provisions. (14) This section does not affect the operation of Part 2 of the Constitutional Reform and Governance Act 2010 (ratification of treaties) in relation to the withdrawal agreement. (15) In subsection (1) "framework for the future relationship" means the document or documents identified, by the statement that political agreement has been reached, as reflecting the agreement in principle on the substance of the framework for the future relationship between the EU and the United Kingdom after withdrawal. (c) identifies one or more documents which, in the Minister's opinion, reflect the agreement in principle so far as relating to the framework. At the end of November 2018, May presented the draft agreement on a future relationship with Europe to the Commons after closing a 17-month negotiation with the EU. Consequently the first use of the meaningful vote was scheduled for 11 December 2018. The provisions of Standing Order No. 24B (Amendments to motions to consider specified matters) shall not apply in respect of any motion tabled by a Minister of the Crown pursuant to any provision of section 13 of the European Union (Withdrawal) Act 2018. Standing Order No. 24B states: "Where, in the opinion of the Speaker... a motion... is expressed in neutral terms, no amendments to it may be tabled. Grieve’s amendment disapplies this Standing Order to any motion moved under the meaningful vote section of the Act, which would make any motion relating to the withdrawal process amendable by parliament. The success of Grieve's amendment (passed 321 votes to 299) means MPs can now change that motion, giving them far greater say over the UK's exit from the EU. (b) the negotiated withdrawal agreement and the framework for the future relationship have been approved by a resolution of the House of Commons on a motion moved by a Minister of the Crown. On 4 December 2018 the government tabled a business motion to set out the timetable for the meaningful vote, as required by S13(1)(b), with the vote scheduled for 11 December 2018. ‘European Union withdrawal motion’ means a motion in the name of a Minister of the Crown under section 13(1)(b) of the European Union (Withdrawal) Act 2018; and ‘allotted day’ means a day on which the first Government business is the European Union withdrawal motion. (2) The allotted days shall be Tuesday 4 December, Wednesday 5 December, Thursday 6 December, Monday 10 December and Tuesday 11 December. (3) On this day, proceedings on the European Union withdrawal motion may be proceeded with for up to eight hours from the commencement of proceedings on the Business of the House (Section 13(1)(b) of the European Union (Withdrawal) Act 2018) motion. (4) On the second, third and fourth allotted days, proceedings on the European Union withdrawal motion may be proceeded with for up to eight hours from the commencement of proceedings on the European Union withdrawal motion. (5) No amendment to the European Union withdrawal motion may be selected before the final allotted day. (6) In respect of the European Union withdrawal motion, the Speaker may select up to six amendments of which notice has been given. (7) If, on the final allotted day, an amendment to the European Union withdrawal motion has been disposed of at or after the moment of interruption, any further amendments selected by the Speaker in accordance with the provisions of paragraph 6 of this Order may be moved, and the questions thereon shall be put forthwith. (8) Questions under this Order may be put after the moment of interruption; and Standing Order No. 41A (Deferred divisions) shall not apply. (9) No motion to vary or supplement the provisions of this Order shall be made except by a Minister of the Crown; and the question on any such motion shall be put forthwith. (d) no motion shall be proposed that the question be not now put. On 9 January 2019 the government revised the timetable in light of the vote on 11 December 2018 being cancelled. (a) The House shall sit on Friday 11 January. (b) The allotted days shall be Tuesday 4 December, Wednesday 5 December, Thursday 6 December, Monday 10 December, Wednesday 9 January, Thursday 10 January, Friday 11 January, Monday 14 January and Tuesday 15 January. (3) On this day and the fifth allotted day, proceedings on the European Union withdrawal motion may be proceeded with for up to eight hours from the commencement of proceedings on a Business of the House (Section 13(1)(b) of the European Union (Withdrawal) Act 2018) motion. (4) On the second, third, fourth, sixth and eighth allotted days, proceedings on the European Union withdrawal motion may be proceeded with for up to eight hours from the commencement of proceedings on the European Union withdrawal motion. (6) In respect of the European Union withdrawal motion, the Speaker may select any number of amendments of which notice has been given. (7) On the final allotted day, the Speaker shall put the questions necessary to dispose of proceedings on the European Union withdrawal motion at 7.00pm; and such questions shall include the questions on any amendments selected by the Speaker in accordance with the provisions of paragraph 6 of this Order which may then be moved. (a) Notwithstanding the practice of this House, a Member may be called to speak twice to the Question on the European Union withdrawal motion without the leave of the House. (7) On the final allotted day, the Speaker shall put the questions necessary to dispose of proceedings on the European Union withdrawal motion at 7.00pm; and such questions shall include the questions on any amendments selected by the Speaker in accordance with the provisions of paragraph 6 of this Order which may then be moved. In the event of the motion under Section 13(1)(b) being negatived or amended so as to be negatived, a Minister of the Crown shall table within three sitting days a motion under Section 13, considering the process of exiting the European Union under Article 50. This meant that when the government lost the delayed meaningful vote on 15 January 2019 it had three sitting days (until 21 January 2019) to produce its 'Plan B'. It has been suggested that this section be merged into Brexit withdrawal agreement#Votes. (Discuss) Proposed since April 2019. Protesters near the Palace of Westminster, shortly before the first meaningful vote on 15 January 2019. The meaningful vote took place in the House of Commons on 15 January 2019. The vote was originally scheduled to be held on 11 December 2018 but on 10 December, May postponed it because it became clear the government's Brexit deal would be voted down. In the absence of any significant changes in the positions of the political parties, as expected, the government was defeated in 15 January vote by 432 votes to 202. The 230-vote margin of defeat was the worst for any government in modern Parliamentary history. 196 Conservative MPs, 3 Labour MPs and 3 independent MPs supported the deal. Voting against the deal were 118 Conservative MPs, 248 Labour MPs, all 35 SNP MPs, all 11 Liberal Democrat MPs, all 10 DUP MPs, all 4 Plaid Cymru MPs, the sole Green MP, and 5 independent MPs. The three Labour MPs who voted for the deal were Ian Austin, Kevin Barron, and John Mann. The three independent MPs who voted for the deal were Lady Hermon (elected as an independent), Frank Field (elected as Labour), and Stephen Lloyd (elected as a Liberal Democrat). The five independent MPs who voted against the deal were John Woodcock, Jared O'Mara, Kelvin Hopkins, Ivan Lewis, and Fiona Onasanya, all of whom had been elected as Labour. Abstaining were one Labour MP (Paul Flynn, absent due to prolonged illness), all seven Sinn Féin MPs, who follow a policy of abstentionism, and eight others: the Speaker John Bercow, the Deputy Speakers Eleanor Laing (Conservative), Lindsay Hoyle (Labour) and Rosie Winterton (Labour); furthermore, the tellers' votes are not taken into account (for the Ayes, Wendy Morton and Iain Stewart, both Conservative, and for the Noes, Vicky Foxcroft and Nick Smith, both Labour). In the immediate aftermath, Leader of the Opposition Jeremy Corbyn called for a vote of no confidence in the government, which was held on 16 January 2019. The government won the vote by 325 to 306, a majority of 19. Section 13 of the 2018 Act required that the government put down a motion, in neutral terms, in response to the written statements made by the prime minister on 21 and 24 January, in which she set out her "Plan B". In accordance with Dominic Grieve's "three day amendment" to the parliamentary timetable, this motion was tabled on 21 January (three sitting days after the draft Withdrawal Agreement was rejected by MPs), and it was put to a vote on 29 January 2019. It took the form of a resolution to the effect that the House of Commons had "considered" the Prime Minister's statements. However this neutral motion was subject to amendment, and prior to voting on the main motion, the Commons voted on seven amendments, proposed by MPs and selected by the Speaker. Two amendments were passed. The Brady amendment called on the Government to re-negotiate over the Northern Ireland backstop. It passed by 16 votes, supported by the Conservatives and DUP over other parties in the Commons, but with 7 Labour MPs supporting it and 8 Conservative MPs voting against it. The Spelman-Dromey amendment declared the desire of the Commons to avoid a no-deal Brexit. It passed by 8 votes, supported by all the parties other than the Conservatives and DUP, but with the support of 17 Conservative MPs. An amendment seeking to pave the way for a binding legislation that would prevent no deal, the Cooper-Boles amendment, failed by 23 votes. Three other amendments also failed. The main motion (as amended) was then passed without a division. Resolved, That this House, in accordance with the provisions of section 13(6)(a) and 13(11)(b)(i) and 13(13)(b) of the European Union (Withdrawal) Act 2018, has considered the Written Statement titled "Statement under Section 13(4) of the European Union (Withdrawal) Act 2018" and made on 21 January 2019, and the Written Statement titled "Statement under Section 13(11)(a) of the European Union (Withdrawal) Act 2018" and made on 24 January 2019, and rejects the United Kingdom leaving the European Union without a Withdrawal Agreement and a Framework for the Future Relationship, and requires the Northern Ireland backstop to be replaced with alternative arrangements to avoid a hard border; supports leaving the European Union with a deal and would therefore support the Withdrawal Agreement subject to this change. May stated that a further "meaningful vote" would be held "as soon as we possibly can", but that if it did not take place by 13 February then she would present a statement, to be followed by a debate on an amendable motion on 14 February. All proposed amendments to the motion were defeated. The motion itself was then defeated, by a margin of 303-259, due in part to abstentions by the European Research Group faction of Conservative MPs, who objected that the motion appeared to rule out leaving the EU without a withdrawal agreement. In her statement on 12 February, the prime minister reiterated her goal of having a second "meaningful vote" on a withdrawal agreement. However, she indicated that if this was not achieved by 26 February the government would make another statement to the House on the government's progress, and table an amendable motion relating to that statement, which would be put to a vote on 27 February. On 27 February 2019, the House of Commons voted on an amendable motion in the following terms: "That this House notes the Prime Minister’s statement on Leaving the European Union of 26 February 2019; and further notes that discussions between the UK and the EU are ongoing." Two amendments were passed. An amendment to seek a joint UK-EU commitment to citizens' rights was passed without a division. An amendment to specify the timeframe for further meaningful votes in March 2019 was passed by a margin of 502–20. The main motion (as amended) was then passed without a division. Resolved, That this House notes the Prime Minister’s statement on Leaving the European Union of 26 February 2019; and further notes that discussions between the UK and the EU are ongoing; and requires the Prime Minister to seek at the earliest opportunity a joint UK-EU commitment to adopt part two of the Withdrawal Agreement on Citizens’ Rights and ensure its implementation prior to the UK’s exiting the European Union, whatever the outcome of negotiations on other aspects of the Withdrawal Agreement; and further notes in particular the commitment of the Prime Minister made in this House to hold a second meaningful vote by 12 March and if the House, having rejected leaving with the deal negotiated with the EU, then rejects leaving on 29 March without a withdrawal agreement and future framework, the Government will, on 14 March, bring forward a motion on whether Parliament wants to seek a short limited extension to Article 50, and if the House votes for an extension, seek to agree that extension approved by the House with the EU, and bring forward the necessary legislation to change the exit date commensurate with that extension. The second meaningful vote took place on 12 March 2019. The deal was supported by 235 Conservative MPs, four independent MPs, and Labour MPs Kevin Barron, Caroline Flint and John Mann, and was opposed by the remaining MPs, including all 10 DUP MPs and 75 Conservative MPs. One Conservative MP, Douglas Ross, was unable to vote or exercise his right to a proxy vote due to the birth of his child on the day of the vote. Under the terms of the 27 February motion, the defeat of the second meaningful vote means that the Government must promptly bring forward a motion regarding leaving the European Union without a withdrawal agreement. The motion, which blocked a no-deal Brexit, was presented on 13 March. Two amendments to the motion were voted upon: the first, tabled by Caroline Spelman and categorically rejecting no-deal in any circumstances, passed 312–308; the second, the "Malthouse compromise" supporting a so-called "managed no-deal Brexit", failed 164–374. As leaving the European Union without a deal was rejected, then the Government was required to bring to 14 March sitting a motion regarding extending Article 50 past 29 March. The motion as tabled by the Government states that if the Withdrawal Agreement had not been ratified by 20 March, then the Government would seek an extension of Article 50 to 30 June, the last possible day that Brexit could take place without requiring British participation in May's European elections. Amendment (h) tabled by Sarah Wollaston that removes the 30 June deadline and instructs the government to seek an extension to enable a second referendum was rejected by 85–334. Amendment (i) tabled by Hilary Benn that calls for an Article 50 extension and allows backbenchers to set the business of the House on 20 March 2019 was rejected by 312-314. An amendment to the amendment tabled by Lucy Powell, which set the Article 50 extension to 30 June, was rejected by 311–314. Amendment (e) tabled by the Labour leadership that removes the 30 June deadline and instructs the government to enable a different approach to negotiations was rejected by 302–318. Amendment (j) tabled by Chris Bryant that prevents a third meaningful vote was not moved to a vote. The main motion was approved by 412–202. Tabled by Oliver Letwin, the amendment passed 329–302 and required the Parliament to hold a series of indicative votes on 27 March. Three ministers resigned from the government to support the amendment: Richard Harrington (business minister), Alistair Burt (foreign office), and Steve Brine (health). The Beckett amendment, tabled by Margaret Beckett, was defeated 314–311. It would have required Parliament to vote favourably for a "no deal" Brexit or request an extension to Article 50 if the government was within seven days of leaving the European Union without a deal. The amended main motion (Letwin but not Beckett) passed 327–300. As a result of the Letwin amendment's success, indicative votes on Parliament's preferred Brexit options were held on 27 March. Eight propositions were voted upon, of which all eight failed. In a departure from parliamentary convention, all eight votes took place simultaneously, using ballot papers, rather than having MPs walk through lobbies to signify their vote. As parliament had agreed to an extension of Article 50 to 30 June the possibility of a third meaningful vote was raised however, the Speaker ruled that the "the same proposition or substantially the same proposition" could not be brought back in the same parliamentary session. The Political Declaration was then removed from the ballot in order to make it a different proposition. The third vote meaningful vote on the Withdrawal Agreement was then able to take place on 29 March 2019. May promised to resign as Prime Minister if the Withdrawal Agreement was passed. In the end, May's deal was voted down again, albeit by a smaller margin than in the previous two votes. Protesters outside the Parliament, shortly before the third meaningful vote on 29 March 2019. Further indicative votes were held on 1 April on propositions chosen by the Speaker. Once again, in a departure from parliamentary convention, rather than having MPs walk through lobbies to indicate their vote choice, all four votes took place simultaneously using ballot papers. Since none of the tabled propositions in the second round of indicative votes could command a majority in the House of Commons, a third round of indicative votes was planned to be held on 3 April. However, on the day of 3 April 2019, the House of Commons focused instead on debating the "European Union (Withdrawal) (No. 5) Bill". This bill was otherwise known as the Cooper–Letwin Bill, after its chief sponsors Yvette Cooper (Labour) and Oliver Letwin (Conservative). The bill places an obligation on the Government to seek consent for any or no extensions to the date of withdrawal from the EU. To do so, the House of Commons first debated an amendment to the Business of the House motion to allow the Bill to be brought in for debate on that day. There was one proposed amendment to the Business of the House amendment, which would've sought to schedule more indicative votes for 8 April 2019; this failed in the first tied vote since 1993. The tie was broken by the Speaker in favor of "No", meaning the motion was rejected at 310 "Yes" verses 311 "No". The lack of passage of this motion meant that no further indicative votes would be scheduled by the House of Commons to be held on 8 April 2019. After losing the third vote May and her cabinet considered the possibility of bringing the withdrawal agreement back to parliament for a fourth vote. Simson Caird, Jack (9 February 2018). "Parliament and the withdrawal agreement: the "meaningful vote"". commonslibrary.parliament.uk. House of Commons Library. Grieve, Dominic (8 February 2018). "Brexit and the sovereignty of parliament: a backbencher's view". The Constitution Unit. University College London. ^ While going through Parliament, the amendment was relabelled with a variety of clause numbers as other amendments were added to or deleted from the Bill, but by the final version of the Bill, which received Royal Assent, it had become Section 13. In the United Kingdom, Acts of Parliament have sections, whereas in a Bill (which is put before Parliament to pass) those sections are called clauses. ^ The UK was due to withdraw from the EU on 29 March 2019. ^ Figure of 635 is based on 650 MPs minus seven Sinn Féin MPs who follow a policy of abstentionism and eight others: the Speaker John Bercow, the Deputy Speakers (Lindsay Hoyle, Eleanor Laing and Rosie Winterton), who do not vote; and the tellers (in this case, for the Ayes, Wendy Morton and Iain Stewart, and for the Noes, Vicky Foxcroft and Nick Smith), whose votes are not taken into account. ^ Figure of 634 is based on 650 MPs minus seven Sinn Féin MPs who follow a policy of abstentionism and eight others: the Speaker John Bercow, the Deputy Speakers (Lindsay Hoyle, Eleanor Laing and Rosie Winterton), who do not vote; and the tellers (in this case, for the Ayes, Andrew Stephenson and Iain Stewart, and for the Noes, Thangam Debbonaire and Nic Dakin), whose votes are not taken into account. There was also a vacant seat due to the death of Paul Flynn. ^ Figure of 634 is based on 650 MPs minus seven Sinn Féin MPs who follow a policy of abstentionism and eight others: the Speaker John Bercow, the Deputy Speakers (Lindsay Hoyle, Eleanor Laing and Rosie Winterton), who do not vote; and the tellers (in this case, for the Ayes, Andrew Stephenson and Craig Whittaker, and for the Noes, Thangam Debbonaire and Nic Dakin), whose votes are not taken into account. There was also a vacant seat due to the death of Paul Flynn. ^ Maer, Lucinda (19 June 2018). "2. Continuing areas of debate: 2.1 Meaningful vote" (PDF). In Maer, Lucinda. European Union (Withdrawal) Bill 2017–19: Ping Pong. Commons Briefing Papers: CBP-8345. House of Commons Library. pp. 5–9. Retrieved 7 August 2018. There are four remaining areas where the two Houses are yet to agree on the text of the Bill: Meaningful vote: the House of Lords amended the Bill on a division to require that the Government bring forward an amendable motion at the end of the Article 50 negotiations ... Of these four areas, only the 'meaningful vote' proposal was made on a division, with the Government defeated. The other three proposals were brought forward by Government Ministers. Summary. ^ a b c "Parliament's 'meaningful vote' on Brexit". instituteforgovernment.org.uk. Institute for Government. 3 December 2018. Retrieved 4 December 2018. ^ a b c "Ministers win key Brexit bill vote after concession". BBC News. 12 June 2018. Retrieved 14 June 2018. ^ "Brexit preparedness". European Commission. Retrieved 14 June 2018. ^ "High court says parliament must vote on triggering article 50 – as it happened". The Guardian. 3 November 2016. Archived from the original on 4 November 2016. Retrieved 14 June 2018. ^ Faulconbridge, Guy; Holden, Michael (30 November 2016). "A woman suing the British government over Brexit is receiving a flood of sexist and racist threats". Business Insider UK. Archived from the original on 4 February 2017. Retrieved 14 June 2018. ^ PA (17 January 2017). "Theresa May's Brexit speech in full: Prime Minister outlines her 12 objectives for negotiations". The Independent. Retrieved 14 June 2018. ^ Video and full transcript of speech: May, Theresa (17 January 2017). "The government's negotiating objectives for exiting the EU: PM speech | Certainty and clarity: 1. Certainty". Gov.uk. Retrieved 14 June 2018. ^ "European Union (Withdrawal) Bill (HC Bill 5)". UK Parliament. 2017. Archived from the original on 13 June 2018. Retrieved 14 June 2018. ^ "European Union (Withdrawal) Bill 2017-19". Bills before Parliament 2017-19 > Public Bills. UK Parliament. Retrieved 14 June 2018. ^ Boyle, Danny; Maidment, Jack (18 April 2017). "Theresa May announces snap general election on June 8 to 'make a success of Brexit'". The Telegraph. Retrieved 14 June 2018. ^ Staff writer (9 June 2017). "General election 2017: Why did Theresa May call an election?". BBC News. Archived from the original on 5 September 2017. Retrieved 14 June 2018. ^ Cooper, Charlie; Kroet, Cynthia (2 July 2017). "British parliament will get vote on final Brexit deal". Politico EU. Retrieved 14 June 2018. ^ Seema Malhotra and David Davis (25 October 2017). SM Select Committee David Davis re vote in Parliament (Video). Seema Malhotra via YouTube. 2.05 minutes in. Retrieved 25 August 2018. ^ Staff writer (25 October 2017). "Brexit: May 'confident' MPs will get vote before exit". BBC News. Retrieved 25 August 2018. ^ Staff writer (26 October 2017). "David Davis warned over Brexit vote promise for MPs". BBC News. Retrieved 25 August 2018. ^ Asthana, Anushka; Mason, Rowena (13 December 2017). "Tory rebels confident of securing 'meaningful vote' on Brexit deal". The Guardian. Retrieved 25 August 2018. ^ a b Austin, Henry (13 December 2017). "Brexit vote: The 11 Tory rebel MPs who defeated the Government". The Independent. Retrieved 7 August 2018. ^ Savage, Michael (9 December 2017). "Theresa May faces first Brexit bill defeat, say Commons rebels". The Observer. Retrieved 25 August 2018. ^ Staff writer (10 December 2017). "Brexit: MPs call for 'meaningful' Commons vote". BBC News. Retrieved 19 June 2018. ^ "Procedures for the Approval and Implementation of EU Exit Agreements: Written statement - HCWS342". UK Parliament. 13 December 2017. Retrieved 14 June 2018. ^ Bill Dod (host) and Laura Smith (reporter) (14 December 2017). MPs pass amendment giving them 'meaningful' vote on Brexit deal (Video). RT UK via YouTube. Retrieved 25 August 2018. :Background to Grieve's amendment (2.15 mins in). ^ Anna Soubry, MP for Broxtowe (13 December 2017). "Prime Minister's Questions". Parliamentary Debates (Hansard). House of Commons. col. 399. ^ Theresa May, Prime Minister (13 December 2017). "Prime Minister's Questions". Parliamentary Debates (Hansard). House of Commons. col. 399. ^ a b "European Union (Withdrawal) Bill: Division 68". Parliamentary Debates (Hansard). House of Commons. 13 December 2017. ^ Staff writer (14 December 2017). "Theresa May: We're on course to deliver Brexit despite vote". BBC News. Retrieved 19 June 2018. ^ Sharman, Jon (14 December 2017). "Amendment 7: What is it and how does it change Brexit?". The Independent. Retrieved 14 June 2018. ^ Swinford, Steven (14 November 2017). "The Brexit mutineers: At least 15 Tory MPs rebel against leave date with threat to join forces with Labour". The Telegraph. Retrieved 25 August 2018. Staff writer (14 November 2017). "Brexit: Ministers see off early EU Withdrawal Bill challenges". BBC News. Retrieved 25 August 2018. ^ a b Walker, Peter (15 June 2018). "EU withdrawal bill: the key battles and what to expect next". The Guardian. Retrieved 15 June 2018. As Grieve headed to Question Time, where he promised to resume talks with the government, over in the Lords, Viscount Hailsham – who had proposed the original amendment on the meaningful vote – tabled Grieve’s own amendment in full. ^ "European Union (Withdrawal) Bill: text of amendment 49". Parliamentary Debates (Hansard). House of Lords. 30 April 2018. ^ Perkins, Anne (8 May 2018). "EU withdrawal bill: 14 defeats in the Lords for the government". The Guardian. Retrieved 14 June 2018. ^ "European Union (Withdrawal) Bill: Division on Amendment 49". Parliamentary Debates (Hansard). House of Lords. 30 April 2018. ^ Forsyth, Alex (30 April 2018). "Brexit: Government defeat in Lords over terms of meaningful vote". BBC News. Retrieved 14 June 2018. ^ Staff writer (8 June 2018). "Ministers water down changes to 'meaningful' Brexit vote". BBC News. Retrieved 14 June 2018. ^ a b Syal, Rajeev (10 June 2018). "Keir Starmer urges Tory remainers to vote with Labour on Brexit". The Guardian. Retrieved 14 June 2018. ^ Marr, Andrew (host); Starmer, Keir (guest) (10 June 2018). "Keir Starmer interviewed by Andrew Marr" (PDF). The Andrew Marr Show. BBC One. Retrieved 14 June 2018. ^ Gordon, Tom (11 June 2018). "Gordon Brown says Brexit vote this week could topple Theresa May". Herald Scotland. Retrieved 14 June 2018. ^ "Bill stages — European Union (Withdrawal) Bill 2017-19". services.parliament.uk. UK Parliament. Retrieved 14 June 2018. ^ "EU (Withdrawal) Bill returns to Lords". parliament.uk. UK Parliament. Retrieved 15 June 2018. ^ a b Payne, Adam (12 June 2018). "Everything you need to know about Theresa May's Brexit bill showdown". Business Insider UK. Retrieved 14 June 2018. ^ "Consideration of Lords Amendment: European Union (Withdrawal) Bill". UK Parliament. 12 June 2017. Archived from the original on 13 June 2018. Retrieved 14 June 2018. ^ Elgot, Jessica (12 June 2018). "Brexit: No 10 rules out backing compromise amendment to EU withdrawal bill". The Guardian. Retrieved 14 June 2018. ^ Watts, Joe (12 June 2018). "Tory minister Phillip Lee resigns over Brexit on day of crucial EU withdrawal votes". The Independent. Retrieved 14 June 2018. ^ Kentish, Benjamin; Cowburn, Ashley; Buchan, Lizzy (12 June 2018). "Brexit vote - as it happened: Theresa May caves in to Tory rebels in major negotiations climbdown". The Independent. Retrieved 14 June 2018. ^ "European Union (Withdrawal) Bill: Division 171". Parliamentary Debates (Hansard). House of Commons. 12 June 2018. col. 810–814. ^ Staff writer (13 June 2018). "Brexit: MPs say PM must honour 'assurances' over Parliament's role". BBC News. Retrieved 14 June 2018. ^ Watt, Nicholas (host); Grieve, Dominic (guest) (12 June 2018). "Keir Starmer interviewed by Nicholas Watt" (PDF). Newsnight. BBC Two. Retrieved 14 June 2018. ^ a b Crerar, Pippa; Elgot, Jessica; Walker, Peter (12 June 2018). "May escapes Brexit bill defeat as Tory rebels accept concessions". The Guardian. Retrieved 14 June 2018. ^ Hammond, Stephen (12 June 2018). "Update on the European Union (Withdrawal) Bill – Day 1". stephenhammond.net. Stephen Hammond. Retrieved 14 June 2018. ^ Scotto di Santolo, Alessandra (13 June 2018). "'Hugely IRRESPONSIBLE' Tory Brexiteer TRASHES Rebels' attempt to 'betray British people'". Daily Express. Retrieved 14 June 2018. ^ "Prime Minister's Questions". Parliamentary Debates (Hansard). House of Commons. 13 June 2018. ^ Kuenssberg, Laura (13 June 2018). "Could Brexit concession intensify Tory warfare?". BBC News. Retrieved 14 June 2018. ^ Greenfield, Patrick; Stewart, Heather (14 June 2018). "Brexit: No 10 rules out backing compromise amendment to EU withdrawal bill". The Guardian. Retrieved 15 June 2018. ^ Staff writer (14 June 2018). "Leading Tory rebel Dominic Grieve rejects May's Brexit compromise". BBC News. Retrieved 15 June 2018. ^ Staff writer (14 June 2018). "Theresa May set for Brexit clash as rebels brand compromise 'unacceptable'". ITV News. Retrieved 15 June 2018. ^ Staff writer (14 June 2018). "Theresa May hit with another Brexit headache as Conservative rebels brand PM's compromise as 'disappointing'". ITV News. Retrieved 15 June 2018. ^ Sarah Smith (host) and Robert Buckland (guest) (16 June 2018). Discussion about the meaningful vote (Television). Sunday Politics. BBC One. Retrieved 7 August 2018. ^ "European Union (Withdrawal) Bill: Division 1". Parliamentary Debates (Hansard). House of Lords. 18 June 2018. col. 1904–1907. ^ Staff writer (18 June 2018). "New Brexit defeat for government in Lords". BBC News. Retrieved 7 August 2018. ^ "European Union (Withdrawal) Bill: Division 191". Parliamentary Debates (Hansard). House of Commons. 20 June 2018. col. 384–388. ^ a b Perkins, Anne; Elgot, Jessica (20 June 2018). "Brexit 'meaningful vote': May wins after rebels accept compromise". The Guardian. Retrieved 7 August 2018. ^ a b "European Union (Withdrawal) Act 2018 s.13". GOV.UK. Retrieved 8 August 2018. ^ Elliott, Francis; Zeffman, Henry; Wright, Oliver (23 November 2018). "Brexit: May attacked from all sides over EU exit deal". The Times. Front page. Retrieved 8 December 2018. (Subscription required (help)). ^ a b Hope, Russell (8 December 2018). "How Commons defeat for PM could change the course of Brexit". Sky News. Retrieved 8 December 2018. ^ a b Vaughan, Richard (5 December 2018). "Humiliation for Theresa May as MPs take back control over 'Plan B' Brexit". i (newspaper). Front page. Retrieved 8 December 2018. ^ "Amendment (d), Mr Dominic Grieve et al" (PDF). Order Paper No.215: Part 1. House of Commons Library. 4 December 2018. p. 11. Retrieved 8 December 2018. ^ "Standing Orders: 24B. Amendments to motions to consider specified matters". House of Commons Library. 20 April 2017. Retrieved 8 December 2018. ^ "The Prime Minister" (PDF). Order Paper No.215: Part 1. House of Commons Library. 4 December 2018. pp. 9–10. Retrieved 23 January 2019. ^ "The Prime Minister" (PDF). Order Paper No.228: Part 1. House of Commons Library. 9 January 2019. pp. 5–6. Retrieved 23 January 2019. ^ "Amendment (a), Mr Dominic Grieve et al" (PDF). Order Paper No.228: Part 1. House of Commons Library. 9 January 2019. p. 6. Retrieved 23 January 2019. ^ Staff writer (9 January 2019). "Brexit: Second Commons defeat for Theresa May in 24 hours". BBC News. Retrieved 23 January 2019. ^ Fox, Benjamin (9 January 2019). "May faces three-day deadline for new plan if she loses Brexit vote". Euractiv. Retrieved 10 January 2019. ^ Staff writer (5 December 2018). "Brexit: Full list of MPs and how they are expected to vote on PM's deal". Sky News. Retrieved 5 December 2018. ^ Staff writer (10 December 2018). "Theresa May calls off MPs' vote on her Brexit deal". BBC News. Retrieved 11 December 2018. ^ Edgington, Tom (15 January 2019). "Reality Check: What are the biggest government defeats?". BBC News. Retrieved 16 January 2019. ^ a b Staff writer (15 January 2019). "Brexit: How did my MP vote on Theresa May's deal?". BBC News. Retrieved 16 January 2019. ^ Staff writer (15 January 2019). "Brexit: Majority of Welsh MPs to vote down EU deal". BBC News. Retrieved 16 January 2019. ^ a b c d "European Union (Withdrawal) Bill: Division 293". Parliamentary Debates (Hansard). House of Commons. 15 January 2019. ^ Staff writer (15 January 2019). "Factbox: Britain's big Brexit vote - What happens in parliament?". Reuters. Retrieved 16 January 2019. ^ Staff writer (16 January 2019). "May's government survives no-confidence vote". BBC News. Retrieved 23 January 2019. ^ Staff writer (29 January 2019). "Brexit amendments: What did MPs vote on and what were the results?". BBC News. Retrieved 29 January 2019. ^ Lovegrove, Simon (29 January 2019). "United Kingdom (and EU regulation): MPs reject all but two amendments to Theresa May's Brexit plan". regulationtomorrow.com/eu. Financial services: Regulation tomorrow. Retrieved 29 January 2019. ^ "European Union (Withdrawal) Act 2018 - Hansard". hansard.parliament.uk. ^ Theresa May, Prime Minister (29 January 2019). "European Union (Withdrawal) Act 2018". Parliamentary Debates (Hansard). House of Commons. col. 671. First of all, as I have said, we will bring a revised deal back to this House for a second meaningful vote as soon as we possibly can. While we will want the House to support that deal, if it did not, we would—just as before—table an amendable motion for debate the next day. Furthermore, if we have not brought a revised deal back to this House by Wednesday 13 February, we will make a statement and, again, table an amendable motion for debate the next day. ^ "PM's statement to the House of Commons on Brexit: 12 February 2019". GOV.UK. ^ Staff writer (14 February 2019). "Brexit amendments: What did MPs vote on and what were the results?". BBC News. Retrieved 15 February 2019. ^ a b "UK's Withdrawal from the EU". Parliamentary Debates (Hansard). House of Commons. 27 February 2019. ^ "Parliamentary business for Tuesday 12 March 2019". services.parliament.uk. UK Parliament. 7 March 2019. Retrieved 8 March 2019. ^ "MPs reject May's EU withdrawal deal again". 13 March 2019. Retrieved 13 March 2019. ^ Rougvie, Frances. "Moray MP to miss Brexit vote to be by wife's side as she goes into labour". Press and Journal. Retrieved 13 March 2019. ^ a b "European Union (Withdrawal) Bill: Division 354". Parliamentary Debates (Hansard). House of Commons. 12 March 2019. ^ "Parliamentary business for 13 March". services.parliament.uk. Retrieved 13 March 2019. ^ a b "UK's Withdrawal from the European Union - Hansard". hansard.parliament.uk. Retrieved 14 March 2019. ^ "Key Brexit vote as 'meaningful vote' returns to the Commons - News from Parliament". UK Parliament. Retrieved 13 March 2019. ^ a b "PM to bring third Brexit deal vote to MPs". 14 March 2019. Retrieved 14 March 2019. ^ "Parliament's next steps on Brexit". The Institute for Government. 23 January 2019. Retrieved 14 March 2019. ^ "MPs reject a second Brexit referendum by 334 votes to 85". BBC. 14 March 2019. Retrieved 15 March 2019. ^ John Bercow, Speaker of the House of Commons (18 March 2019). "Speaker's Statement". Parliamentary Debates (Hansard). 656. House of Commons. ^ Elgot, Jessica (18 March 2019). "Brexit: John Bercow rules out third meaningful vote on same deal". The Guardian. Retrieved 12 April 2019. ^ Elliott, Mark (28 March 2019). "Meaningful Vote 3: The legal implications of separating the Withdrawal Agreement and the Political Declaration". publiclawforeveryone.com. Public Law for Everyone. Retrieved 12 April 2019. ^ "Parliament UK: Parliamentary Calendar". services.parliament.uk. Retrieved 29 March 2019. ^ "MPs voting on Brexit delay plan". BBC News. 29 March 2019. Retrieved 29 March 2019. ^ a b c "European Union (Withdrawal) Bill: Division 354". Parliamentary Debates (Hansard). House of Commons. 29 March 2019. ^ "Brexit: What are MPs voting on?". BBC.co.uk/News. 1 April 2019. Retrieved 1 April 2019. ^ "Brexit: Labour to support Norway-style EU proposal". BBC.co.uk/News. 1 April 2019. Retrieved 1 April 2019. ^ Odell, Mark (1 April 2019). "Speaker calls on MPs to vote". Financial Times. Retrieved 2 April 2019. ^ "House of Commons Rejects All Brexit Options - Again". Politico Europe. 1 April 2019. Retrieved 2 April 2019. ^ "The Latest: UK lawmakers vote to avert 'no-deal' Brexit". APNews.com. Associated Press. 3 April 2019. Retrieved 11 April 2019. ^ a b James, William; MacLellan, Kylie; MacAskill, Andrew (3 April 2019). "British parliament rejects plan to hold more Brexit indicative votes on Monday". Reuters.com. Retrieved 3 April 2019. ^ "Amendment (a) to the Business of the House motion". CommonsVotes.DigiMinister.com. 3 April 2019. Retrieved 3 April 2019. ^ "PM considers fourth bid to pass Brexit deal". 30 March 2019. Retrieved 30 March 2019 – via www.bbc.co.uk.